Drag racing fans were treated with the once in a lifetime experience at the CARQUEST Auto Parts NHRA Nationals being able to share with Leah Pritchett her first National event winning in the Top Fuel category, becoming the 101st different Top Fuel winner beating Brittany Force in the finals. Hard working Funny Car driver Tim Wilkerson came out victorious taking down the 16-time Funny Car, John Force in a close fuel coupe Blue Oval vs. Bowtie Brigade final round of racing. KB Racing stays perfect in Pro Stock competition, only this time it was Jason Line driving his Chevrolet Camaro to victory beating Chris McGaha at the Wild Horse Pass Motorsports Park in Phoenix on Sunday under beautiful sunny skies. 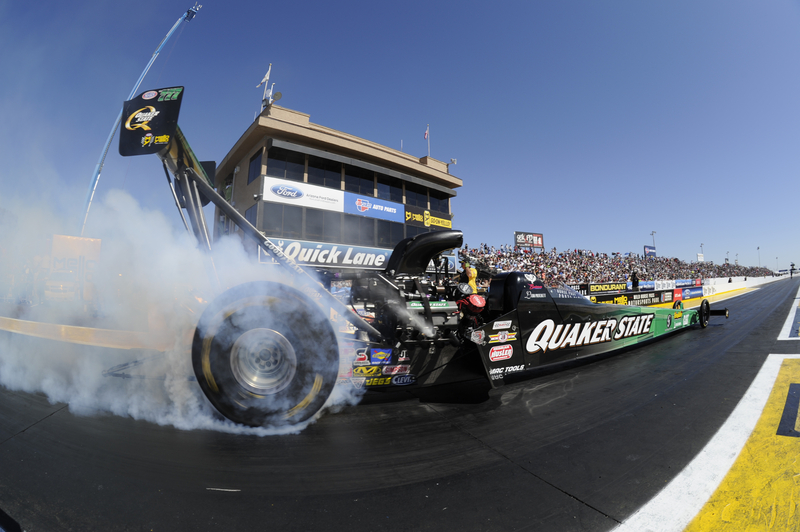 Leah Pritchett stole the show, winning in her second final round appearance of her young career by taking the Phoenix Top Fuel title on a holeshot run over Brittany Force. 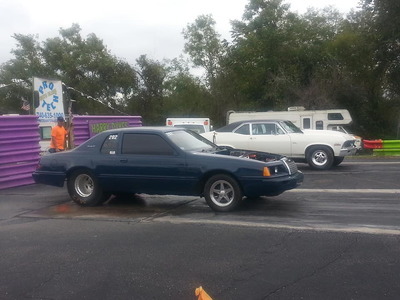 Although both cars ran near identical times, it was Pritchett reaching the finish line first by .020-hundredths of a second to win the competitive bout. 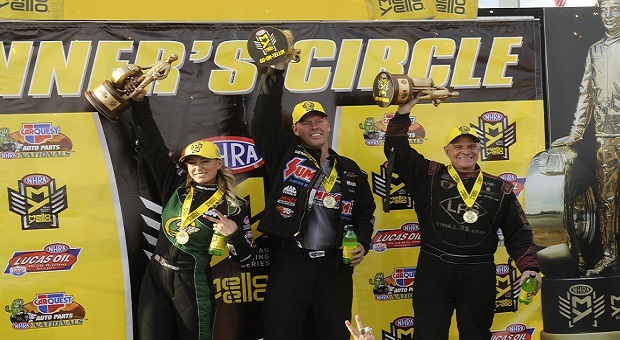 Pritchett marched through eliminations defeating J.R. Todd, defending Top Fuel Champion, Antron Brown in the quarterfinals and Clay Millican in the semi-finals before the match up with Brittany Force. 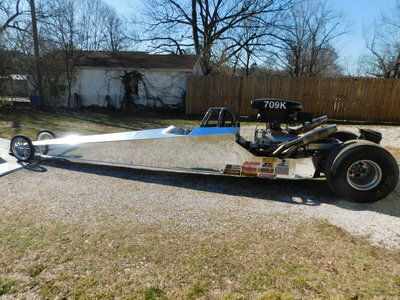 The Bob Vandergriff Quaker State dragster left first with Pritchett determined not to leave anything behind jetting down the track in a classic side-by-side show running 3.775 seconds, 323.12 mph to Force’s time of 3.774 seconds, 321.35 mph winning on a holeshot. It marked the first all-female Top Fuel finals since the 1982 Columbus race when Shirley Muldowney defeated Lucille Lee in those finals and the first woman to earn a Wally since Hillary Will triumphed in Topeka in 2008. 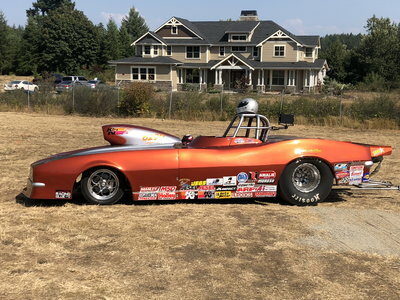 “It is the happiest day of my life, besides getting married of course,” said Pritchett, who posted a runner-up finish in her only other Top Fuel final, last season at Atlanta. “This is what dreams are made of. That’s what I meant; you can be whoever you want to be. The win got her into the Traxxas Shootout joining Steve Torrence as the first two Top Fuel winners in 2016. 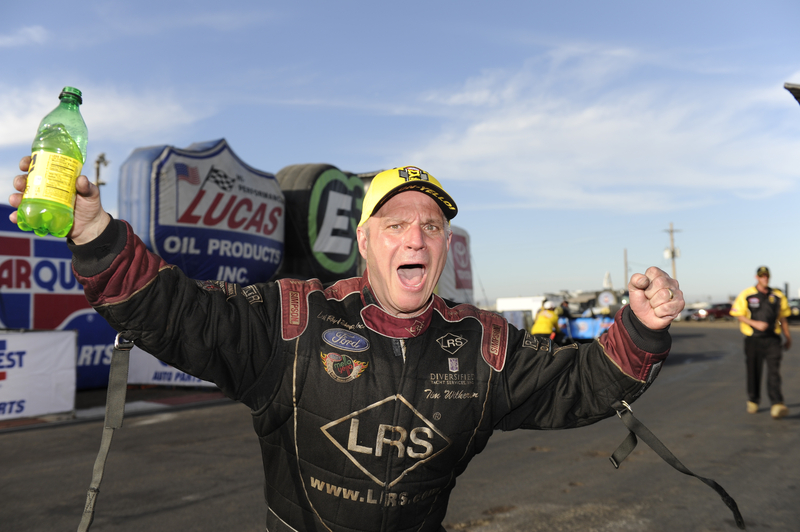 Doug Kalitta is the early points leader, having an eight point spread over Steve Torrence for the lead. 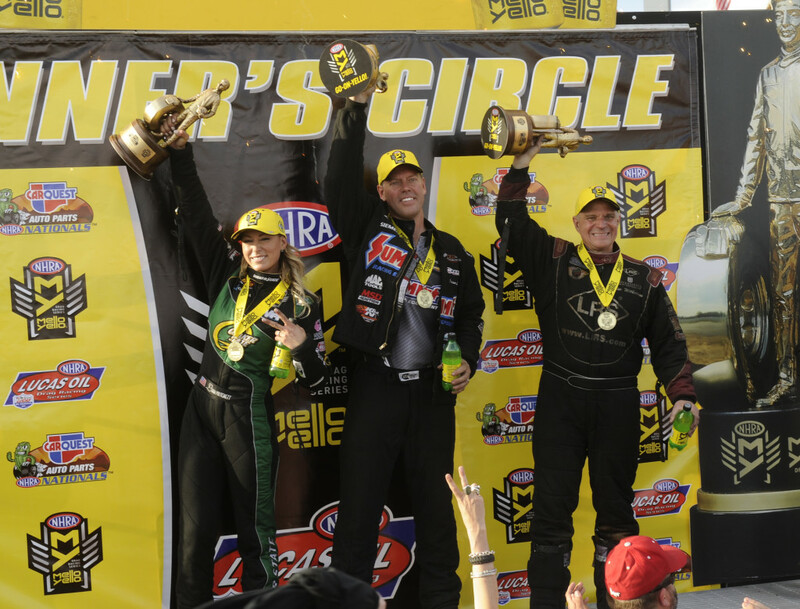 Brittany Force, Clay Millican and Leah Pritchett fill out the top five. 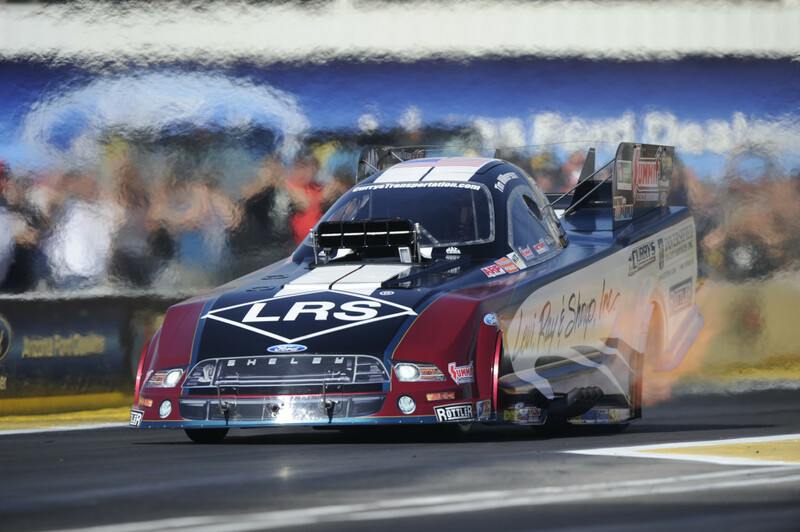 Tim Wilkerson, after winning at Phoenix for the first time of his Funny Car career and 19th overall in National event competition, announced that he was going to retire his car called ‘Bessie’, debuting a new Ford Mustang at Gainesville for the Gatornationals. 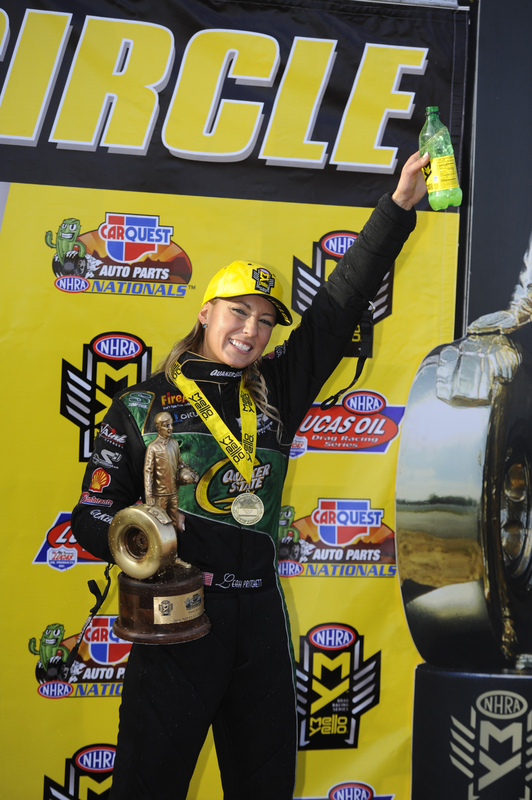 In her last ride with Wilkerson, she brought him victory running three of his four elimination passes in the three-second zone after having to salvage a pedal fest with Ron Capps in the second round. “We got greedy in the round two against Capps and if didn’t hold,” Wilkerson winced. “That gave me a set of parameters that I needed to work in to get past the next two rounds. If you had thought our 3.99 would have gotten us in the finals, I would have told you would be wrong. 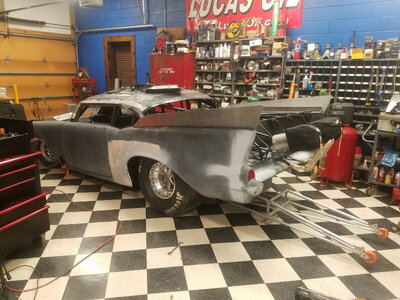 “We’re retiring this car ‘Bessie’ today and starting out next race with the latest, trickiest car Murf McKinney has ever built. It may take a little while to transition because it’s so much lighter. We’re going to drag it out and continue our momentum and not skip a beat. 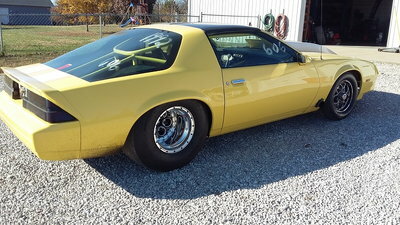 Daniel [Tim’s son] will drive this car at Charlotte. Wilkerson had to go through eliminations defeating Chad Head, Pomona winner, Ron Capps, and Robert Hight setting up a final round battle against the legend, John Force. If Bessie was going out, she was going out in style winning with his best run of the weekend, reeling off a time of 3.937 seconds, 320.43 mph. Force was ahead of Wilkerson until his blower belt broke, leaving him with a time of 4.016 seconds, at a greatly reduced speed of 275.34 mph. Ron Capps is the Funny Car points leader holding a 15 points lead over John Force. Robert Hight, Del Worsham, and Tim Wilkerson round out the top five. 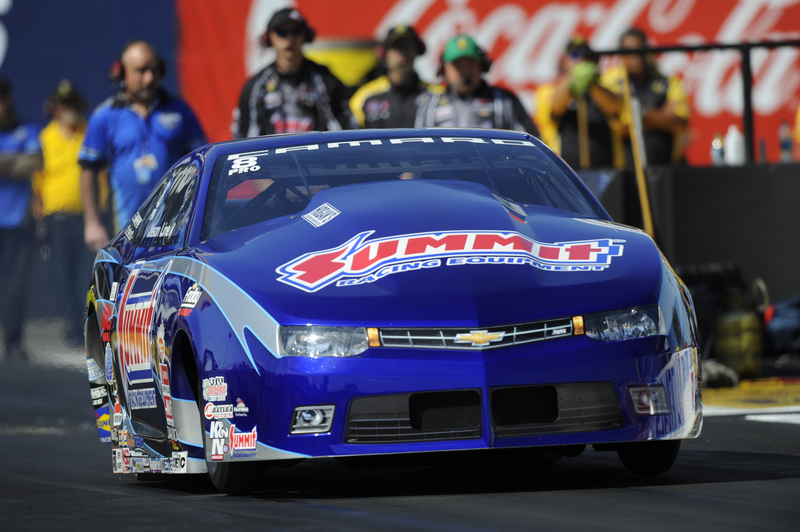 The KB Racing teams again dominated the Pro Stock landscape in Phoenix. This time it was Jason Line’s turn to win holding off a gritty Chris McGaha in the Pro Stock finals. 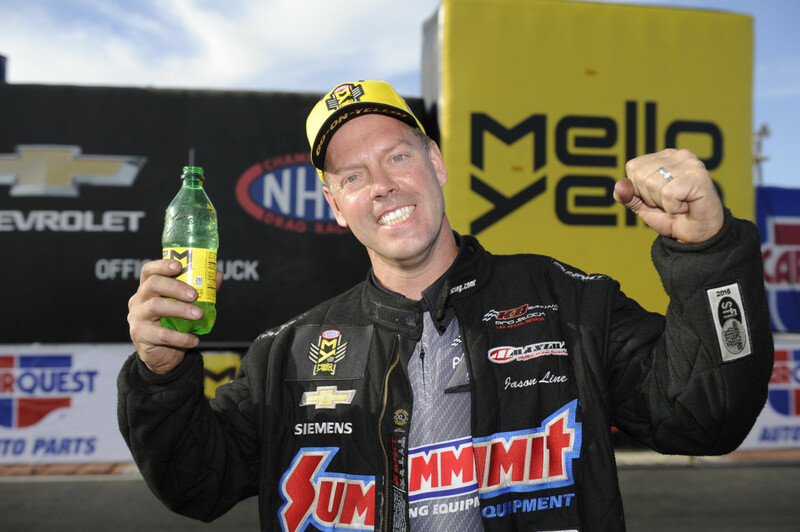 It was Line’s 38th win in the Mello Yello series having to beat Matt Hartford, five-time Pro Stock champ, Jeg Coughlin and his own KB Racing Summit teammate, Greg Anderson in the semis. The 106-degree track temperature in the finals gave the pair of Line and McGaha a slick track to negotiate and it reflected in the final results with some of the slower times of the day. 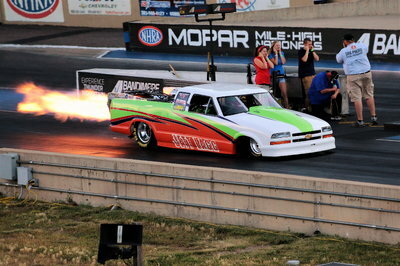 Line raced off first to tally a time of 6.666 seconds, 205.16 mph to McGaha’s close time of 6.671 seconds, 208.75 mph. “I’ve always said, we did the least worst,” said Line, jokingly. “There’s still a long way to go. We’re just in the infancy as far as learning about fuel injection and know how to really tune the engine. I don’t know if we did the greatest job today, but it was good enough to win. It was a fun day and a great way to start the year. We’re off to a better start than last year. I think everyone is refocused and we’re on a mission. Line is in charge of the points leading his KB Racing teammate, Greg Anderson by 18 followed by another KB Racing Chevy driven by Bo Butner, with Drew Skillman in fourth and Chris McGaha in fifth. The next NHRA National event will be the Amalie Motor Oil Gatornationals from the Auto Plus Raceway in Gainesville, Florida on March 18 – 20.